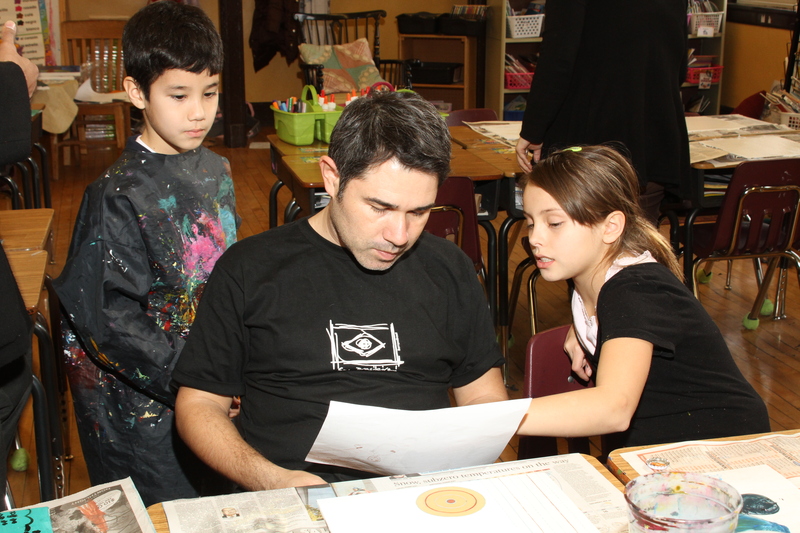 Teaching artists, hybrid professionals who link the arts to education and community life, are redefining the roles that the arts can play in public education. Who are teaching artists? Where and how do they work? What new strategies might they offer to help ailing public schools? And how can schools become generative sites of creative growth for artists, teachers and students? A new national study of teaching artists shows that their work in schools is already providing answers to these questions. Join us for the first Los Angeles presentation of the Teaching Artist Research Project, a study of teaching artists and their work in a dozen cities, including Los Angeles. 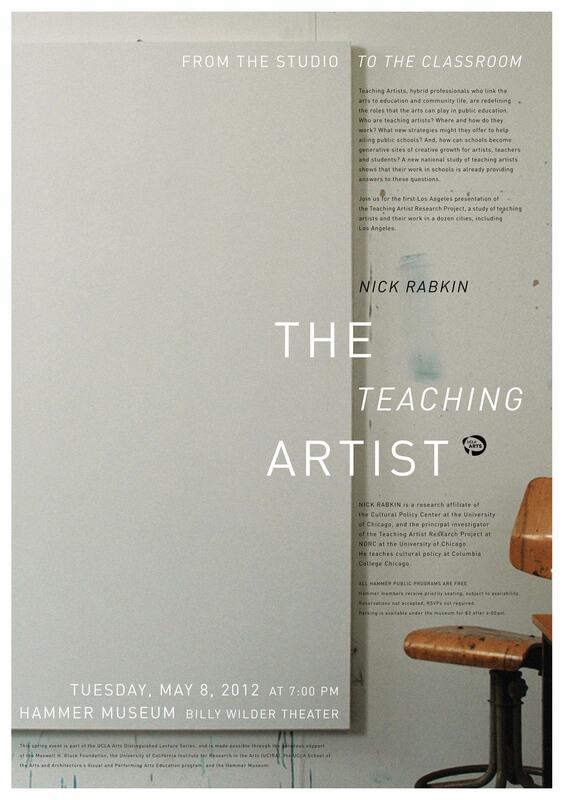 Nick Rabkin is a research affiliate of the Cultural Policy Center at the University of Chicago, and the principal investigator of the Teaching Artist Research Project at NORC at the University of Chicago. He teaches cultural policy at Columbia College Chicago. This lecture is made possible through the generous support of the Maxwell H. Gluck Foundation, the University of California Institute for Research in the Arts, UCLA School of the Arts and Architecture, and the Hammer Museum.